GoPro has announced plans to restructure the company, saying it will layoff 200 full-time workers, close its entertainment division, reduce its facilities, and cancel open positions. By doing these things, GoPro will reduce its workforce by 15% and will, it anticipates, reduce its non-GAAP operating expenses next year. 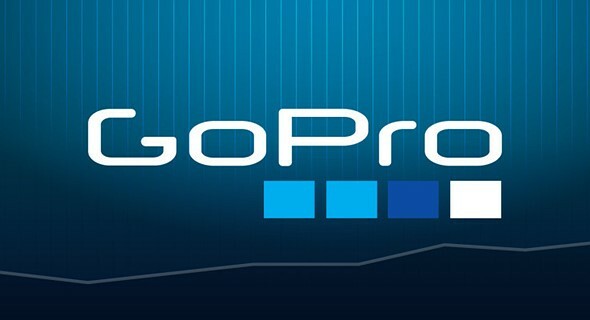 GoPro announced the news today as part of its quarterly earnings report. According to the company, GoPro camera sales in the U.S. were up more than 35% this past Black Friday in comparison to the same time period last year. However, its turbulent financial state over the past year has spurred the company to make some big changes. In addition to shedding 15% of its workforce, GoPro President Tony Bates will step down from his position at the end of 2016. GoPro didn’t provide a reason for his departure. Assuming all goes as planned, GoPro expects to reach non-GAAP profitability next year, with its full 2017 non-GAAP operating expenses dropping to about $650 million. Week of Black Friday Camera Unit Sales Up 35% YoY in U.S.
SAN MATEO, Calif., Nov. 30, 2016 /PRNewswire/ — GoPro Inc. (NASDAQ: GPRO) today announced solid holiday quarter sell-thru in the U.S. for its new HERO5 cameras. Based on internal data, GoPro’s week of Black Friday camera unit sales were up more than 35% year-over-year at leading U.S. retailers. Thanksgiving through Cyber Monday sales of camera units at GoPro.com were up approximately 33% year-over-year. According to the NPD Group, since the launch on October 2, HERO5 Black has been the best-selling Digital Imaging device in the United States. HERO5 cameras are available at major US retailers including Amazon, Best Buy, Target and Walmart.